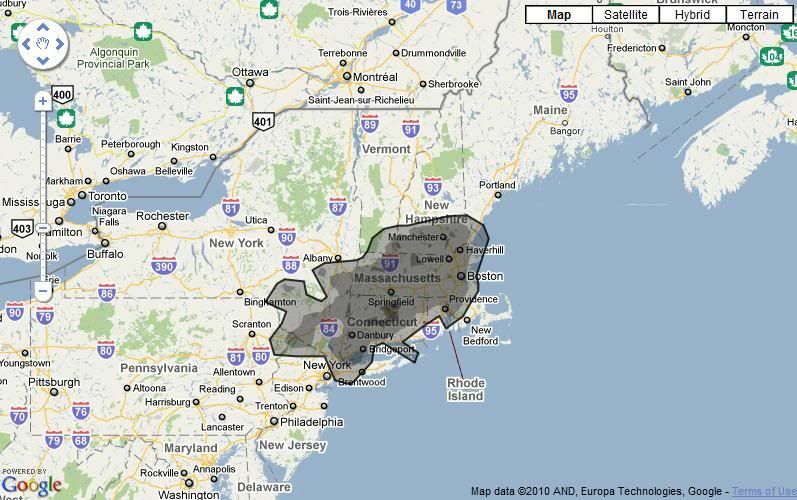 I'm not going to discuss the whole oil disaster that's going on right now, but of all the links, pictures, parodies, bashes, political debates, etc, etc, etc, that I've seen, here are two serious maps that I thought showed some really good perspective. It's hard to imagine how big the spill is, but these maps show them from the best and worst possible lights. 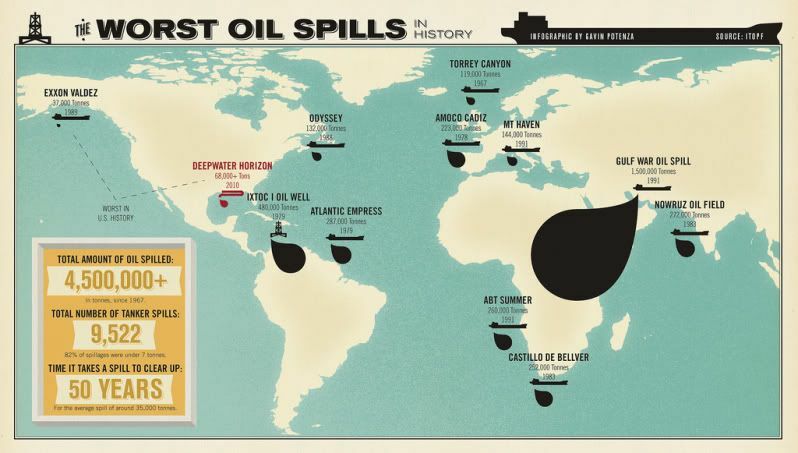 And the second, is of this map which shows a comparison of the world where previous oil incidents have occurred with their corresponding sizes.